Internet radio also called as web radio, webcasting, net radio, streaming radio, e-radio, IP radio, or online radio is an audio service digitally transmitted using Internet as the medium. Traditional broadcasting uses wireless means as opposed to webcasting which uses the wired medium. Internet radio may be used as a standalone device, or as a software. The Internet Radio Market is projected at an 18 % CAGR during the forecast period of 2017 and 2023. The explosive growth of internet and growing adoption of connected devices is the major driver of the market. The growth in streaming is reflected by the fact that, one third Americans especially the teens streamed music using their smartphones, with adults in age group of 18 to 24 logged to internet radio more than the traditional terrestrial. Internet radio presents the listeners a continuous audio stream which cannot be paused or replayed, like traditional broadcast media thus giving the broadcaster control over what the communication. Thus there is greater scope for revenue generation from internet radio than traditional broadcast media. Internet radio uses less data and keeps control of the intellectual property as it streams rather than allows downloads which may involve making unauthorized copies of the content as in podcasting. Internet radio services also offer a wide variety of genres of audio such as news, sports, talk, and music and also affords every format available. Association of internet radio services with traditional radio stations affords lower start-up and ongoing costs which has resulted in proliferation of the market. Falling cost of streaming, declining price of internet bandwidth, emergence of 3G and 4G networks storing data, growing connectivity are commercial drivers of the internet radio market. Further growth has been ushered by the development of software and analytics which now afford customization, latest movies and audios, multiple radio channels depending on interests. Data generated by users has been successfully used to predict listener’s interest and has high potential to be used for marketing and advertising revenues. The explosive potential of internet radio to be the most ubiquitous and commanding form of media ever owing to it being be enjoyed while doing other activities makes it the future of the media industry. So We Get The Question All The Time Do We Pay Royalties ? VALIDATED: This is an active ProNetLicensing™ Affiliate. 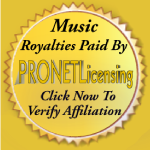 This Affiliate’s ASCAP, BMI, SESAC, SoundExchange and SOCAN royalties and performance fees are reported and paid through ProNetLicensing.com. (Like Opening for Celebrities, being on TV, Your Music on Movies, or obtaining Celebrity Verses at reasonable prices with PAPERWORK for use! 1 Year Top Site Header Video Banner – This The Very Top Banner You See On The Site. 1 Year Front Page Banner – This Is The Banner Under The Top Banner. 1 Year Cd Side Banner – This Is On The Right Side Of The Web Site. All Banner Designs Come Free With This Package. 1 Year Radio Air Play Heavy Promotion 300 Spins A Month. With This Package You Get 12 Songs Added In To The The Playlist. You Can Change Out The Songs Every Month If You Want Or You Can Keep The Same Song In The Playlist. Artist Interview On Dirty South Radio Web Site. 1 Year Of Twitter Promo 5 Tweets A Day To Our Followers. 1 Year Facebook Promo 3 Post A Day To Both Our Facebook Page Time Line. 1-Year Of Instagram Promo 2 Post A Week For 1 Year. 1 Year Facebook Promo To Music Facebook Groups Once A Week We Will Post Your Links And Video. 6 Months Top Site Header Banner – This The Very Top Banner You See On The Site. 6 Months Front Page Banner – This Is The Banner Under The Top Banner. 6 Months Cd Side Banner – This Is On The Right Side Of The Web Site. 6 Months Heavy Radio Play 300 Spins A Month. With This Package You Get 3 Songs Added In To The The Playlist. You Can Change Out The Songs Every Two Month If U Want Or You Can Keep The Same Song In The Playlist. 6-Months Of Twitter Promo 4 Tweets A Day To Our Followers. 6-Months Facebook Promo 3 Post A Day To Both Our Facebook Page Time Line. 6-Months Of Instagram Promo 1 Post A Week For 6 Months. 3 Months Front Page Banner – This Is The Banner Under The Top Banner. 3 Months Cd Side Banner – This Is On The Right Side Of The Web Site. 3 Months Medium Radio Play 275 Spins A Month. With This Package, You Get 1 Songs For The 3 Months In The Playlist. 3-Months Of Twitter Promo 4 Tweets A Day To Our Followers. 3-Months Facebook Promo 3 Post A Day To Both Our Facebook Page Time Line. Previous articleEnter International “Jingle Contest”! Sponsored by: Celebrity Jeweler “Mr. Goldman”.